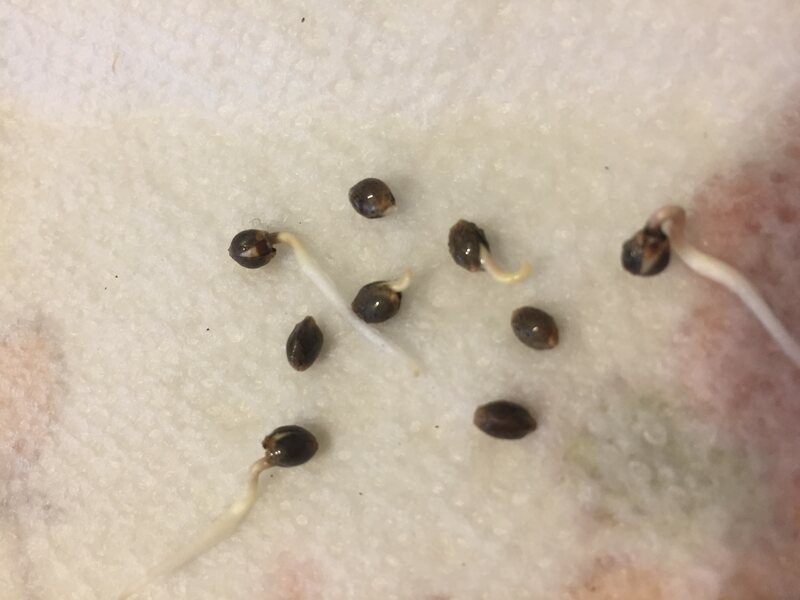 Cannabis seed is not very different from many other annual plant seeds. The value of seed is higher than other seeds that one grows in a garden, care in germination is advised. Sprouting cannabis seeds before planting into soil or other media is recommended. This will reduce the likelihood of ‘damping off’, which is having a seedling or sprout rot before it develops into a plant. By sprouting seeds in damp paper towels a few days prior to planting, the young plant has a chance to develop an immune system and grow healthy rootlets before exposure to pathogenic organisms. First, select high-quality seed of desired genetics. Second, soak seeds sandwiched in between layers of paper towels. Use filtered or bottled water to saturate paper towels, wring out excess moisture. Seedlings also need oxygen to sprout and too much water will inhibit ability of seed to breathe. Chlorine, fluoride, and chloramine are typical in municipal water supplies and are subtly toxic to life. Washing the seeds in hydrogen peroxide prior to soaking can be helpful. Washing the seeds will rinse off pathogenic spores, but is not always necessary if your seeds are stored properly and obtained from reputable sources. Keep sprouting seeds at room temperature. 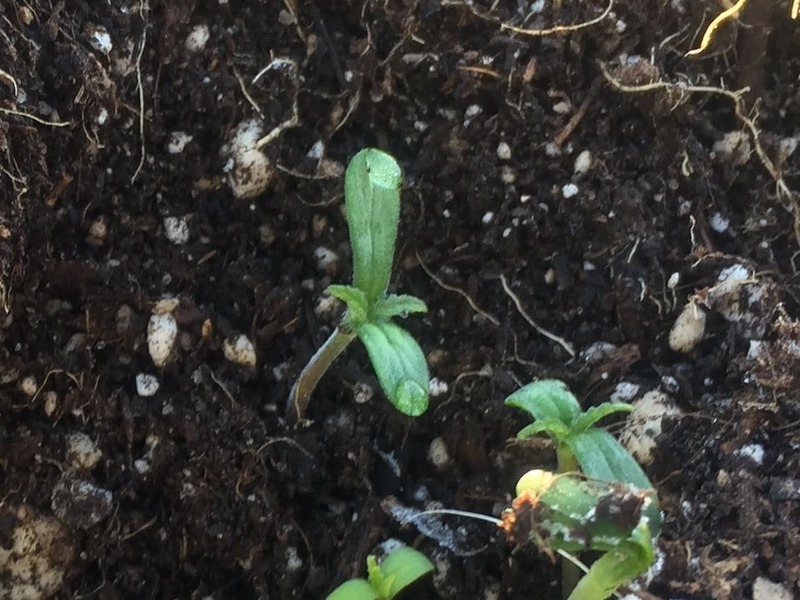 Often people will attempt to speed up germination by placing them in warmer conditions, but this isn’t entirely helpful and can cause plants to become hermaphrodites or present as males. 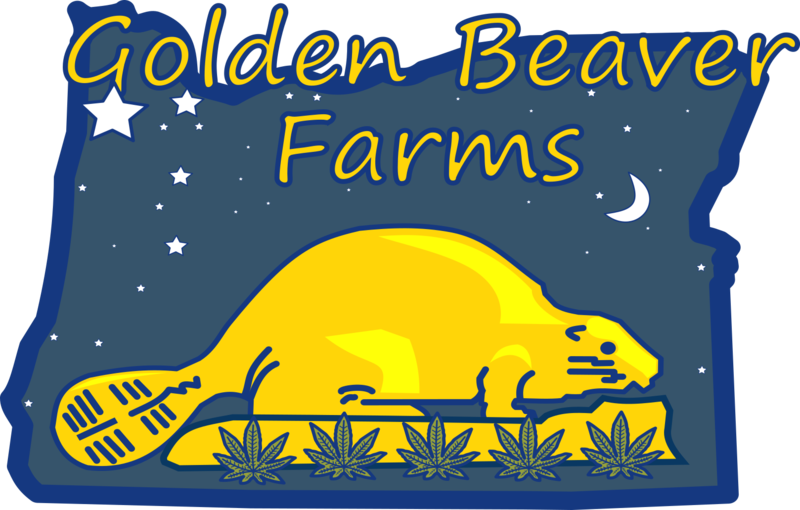 Female plants will be the desired goal of most cannabis growers. After a few days (sometimes after only one day) your seeds will have popped open their seed coats and a root tip will have emerged. Do not wait too long to plant into soil. As roots start to branch and elongate they can become brittle making transplantion more stressful to the plants. Bury in a shallow hole in the soil. They will need light once the cotyledons (primary leaves) emerge from the seed. A quarter inch of soil cover will be sufficient to keep seedling moist while roots grow deeper into soil. Make sure at this point they are under proper lighting; either artificial lighting intended for growing plants, or better yet under the sun if your climate is favorable.